Frontier Homestead State Park Museum is pleased to announce a special exhibit by the Southern Utah Watercolor Society (SUWS). The public is invited to an artist’s reception on Saturday July 23rd, from 2:00–4:00 p.m. The reception is free to the public. Following the reception, the regular entrance fee applies. SUWS encourages those in the community with a passion for water media painting, or a desire to learn to come meet the artists and learn more about the watercolor society. SUWS-Cedar City Chapter has been busy this year working together to bring new and interesting programs, demonstrations, and plein air events to Cedar City. To go along with the Centennial of the National Park Service, the theme of this year’s exhibit is “Pick Your Park.” Each artist was challenged to exhibit pieces reflecting their favorite places of natural beauty. The exhibit features the work of 17 local artists, with many of the works available for purchase. Additionally, there are a number of unframed prints offered for sale. 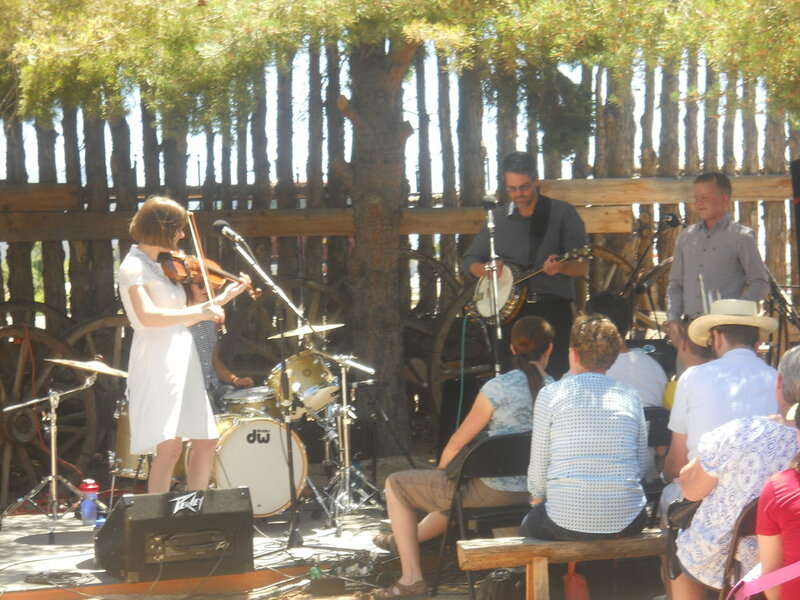 The Frontier Homestead Foundation and the Groove Crew will once again partner June 26-27, 2015 to bring the Groovefest Music and Art Festival to Cedar City. The art theme will be Celebrating the Artistry in All Things Handmade. This is the 13th anniversary of GROOVEFEST and promises to be filled with amazing talent, both musically and in the visual arts. As this combined celebration of art and music evolves, it gets bigger and better each year. Through a jury process, over 50 artists have been selected to participate in the art festival, displaying and selling all original work. A portion of the artist booth fees support the Frontier Homestead Museum Foundation in its efforts to assist Frontier Homestead State Park in preserving and presenting Iron County's history to the public.